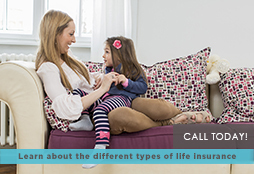 How Much Life Insurance Is Enough? | Assurance Partners Ltd.
How much debt you have: All of your debts must be paid off in full, including car loans, mortgages, credit cards, etc. If you have a $200,000 mortgage and a $4,000 car loan, you need at least $204,000 in your policy to cover your debts. Income Replacement: One of the biggest reasons for life insurance is for income replacement, which will be a major determinant of the size of your policy. If you are the only provider for your dependents and you bring in $40,000 a year, you will need a policy payout that is large enough to replace your income plus a little extra to guard against inflation. Future Obligations: If you want to pay for your child's college tuition you will have to add this to the amount of coverage you want.